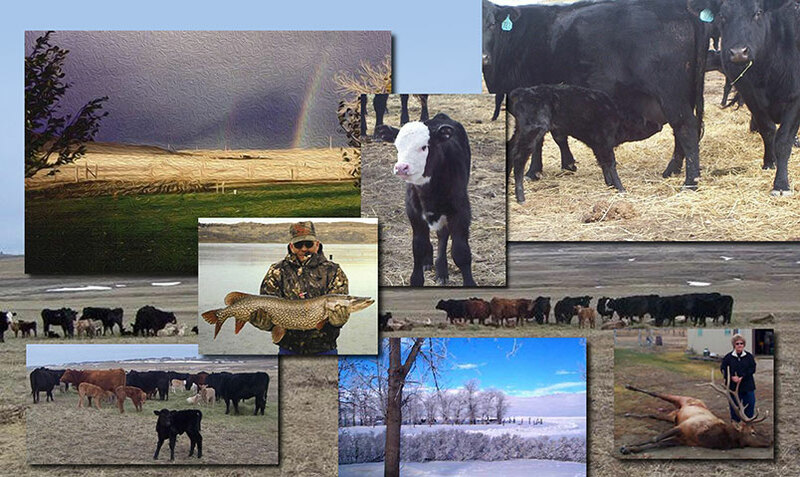 About Us - Welcome to our Ranch! Meet Walt and Judie Manuel! Walt and Judie bought their first Aussie in '92. They fell in love with their intelligence, loyalty, their biddable personalities and their antics. From that point on, they decided to breed for the versatile Aussie. The Aussie that can compete in any venue or be a loving member of a family, which they feel is the most important role they can play. Walt and Judie live on a ranch in Central Montana. They own and lease approximately 15,000 acres. Walt and Judie run 275 mother cows. In their spare time away from the ranch, Walt and Judie love to fish. They are very close to Fort Peck Reservoir and do enjoy their outings, which always include their dogs. Judie served as show secretary for the Cow Country Classic (hosted by ASC of MT) in Lewistown, MT for many years. It was a true joy meeting many wonderful people and their special dogs from all over the U.S. and Canada. Judie also serves as National Membership Chair for the United States Cattlemen's Association. What a tremendous joy to meet people from all over the U.S. and Canada and their beautiful and talented dogs. Recently there has been a rise in the movement to breed so called “miniature”, and sadly, even a “toy” version of the Australian Shepherd. Neither of these are recognized by any of the official Australian Shepherd clubs/organizations. The Australian Shepherd Club of America (ASCA), American Kennel Club (AKC), Canadian Kennel Club (CKC), nor the United States Australian Shepherd Association, Inc. (USASA), recognize nor register these dogs. The dogs are only recognized by their own breed clubs which have been formed since they were denied recognition by the above clubs. They are NOT a 'variety' of the true Australian Shepherd, they are a totally separate breed. We do not breed "mini's", will not allow our males to be used to breed to a "mini" and will not recommend a breeder to you because we personally do not support the purposeful breeding of "miniature” or “toy” dogs that are then passed off as Australian Shepherds. We breed our Aussies to the ASCA and AKC recognized standards of excellence. These clubs require all of their members to abide by their rules and regulations and their Code of Ethics, and to be ever vigilant in the preservation and protection of the true Australian Shepherd. North American Miniature Australian Shepherd Club of the USA, Inc.